With autumn in full swing, now is a great time to start doing the fun fall activities we all love. Whether it be sipping pumpkin spiced lattes or simply enjoying the outdoors, everyone has a different tradition they love for fall. After spending some time researching popular fall traditions I have compiled a list of the top 5 Fall Favorites we should all try out this season. 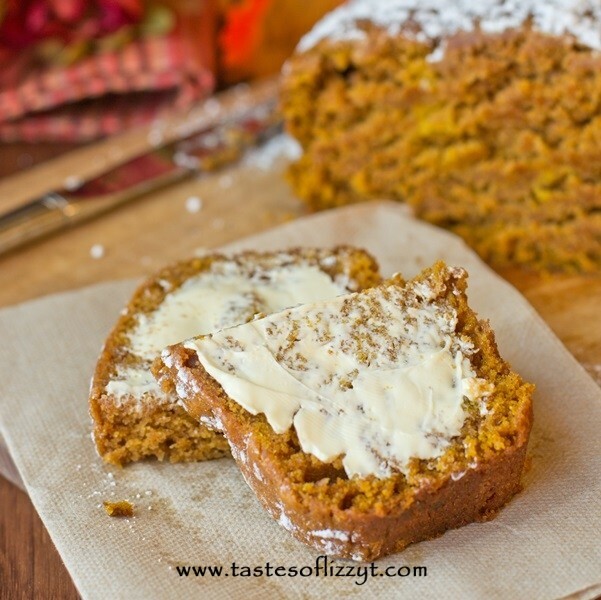 Maybe it’s the crisp air or the leaves changing, whatever it may be during fall I always have an urge to bake something. Utilize a weekend to bake a tasty creation or make something hearty for dinner one night during the week. Either way you can’t go wrong with these Pinterest recipes. This fall favorite can be utilized for breakfast, snacks, desserts; any time of the day really. I stumbled across this recipe on Pinterest and it is definitely something I am going to try this season. Click the photo for detailed instructions on recreating this delicious masterpiece. A great tool to consider utilizing this autumn is your crock-pot. There are countless creations you can make with your crock-pot, and the best part? They are so easy! From chili to desserts, the options are truly endless. When the temperature starts to drop I myself am a big fan of chili. Here is a recipe that I have tried personally with a slight twist on the original chili we have all come to know and love. If you are trying to stay on the healthier side, this recipe is perfect for you because it uses ground turkey instead of beef. To enjoy this tasty dish, click the photo for the step-by-step instructions. There are a ton of recipes out there available to you when the mood strikes you just have to know where to look. 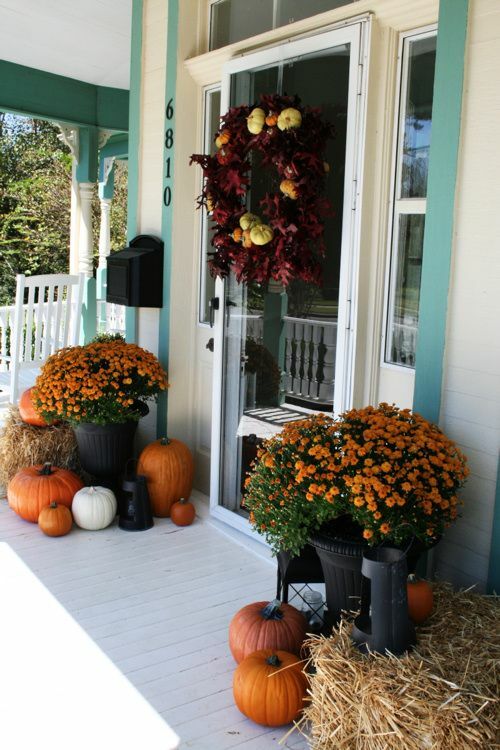 Another fall tradition that is enjoyable for all is decorating your porch and backyard room. Thanks to Hobby Lobby and resources like Pinterest it has become very easy to add a touch of the season to both your porch/stoop and backyard room. Check out these festive and easy diy wreaths to try this season! This diy wreath is simple and inexpensive and can be accomplished in an afternoon. If you don't have anything going on this weekend, this craft is a definite must to try. Click the photo for detailed instructions on making this yourself. Another easy way to decorate your backyard or porch is with the use of pumpkins and gourds. These are especially easy to find during this time of year and are also inexpensive. An added bonus: if you live in an area that experiences the leaves changing, consider yourself lucky as nature can do a lot of the decorating for you. Here are a couple more backyard room inspirations to get you excited about decorating for the fall season. After sprucing up your backyard room and front porch the next best thing to try is a backyard picnic. 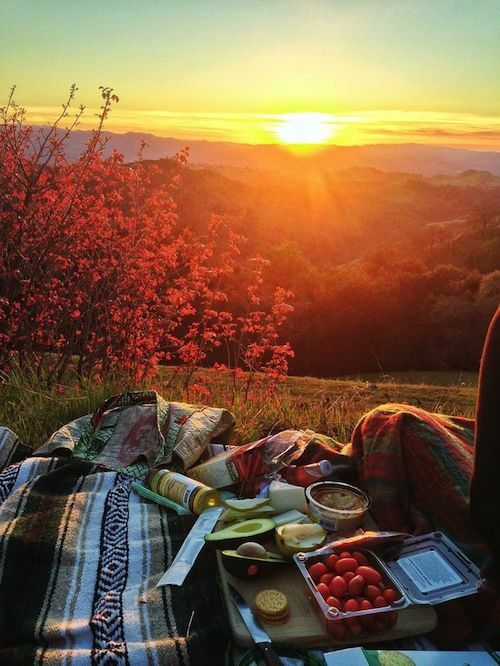 Picnics are fun and easy alternatives to eating indoors. They can range anywhere from the casual blanket and food basket on the ground to a more formal backyard picnic with place settings. Either way you will be sure to have a good time. This blanket and basket picnic set up allows you to truly take your picnic anywhere. 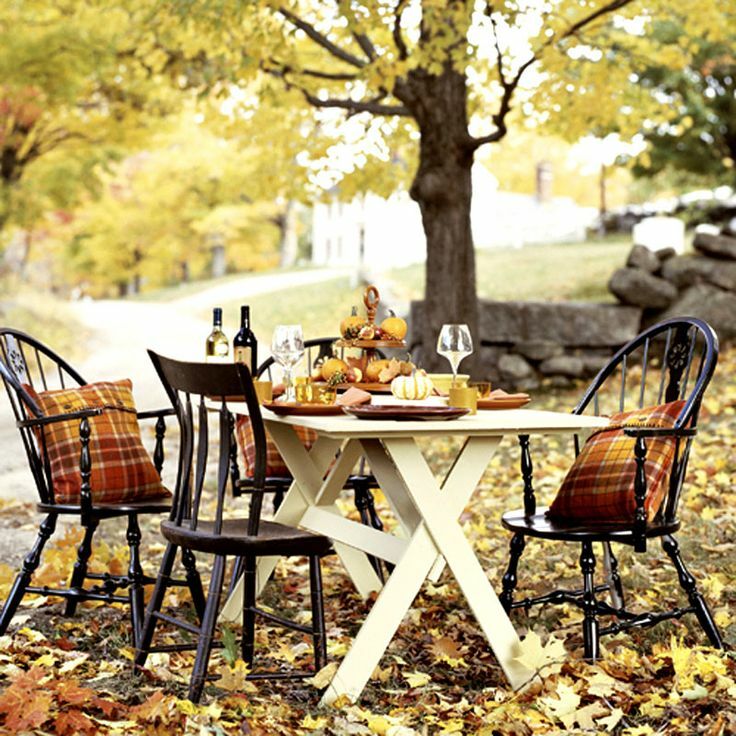 During fall especially this can make for a beautiful sunset dinner. 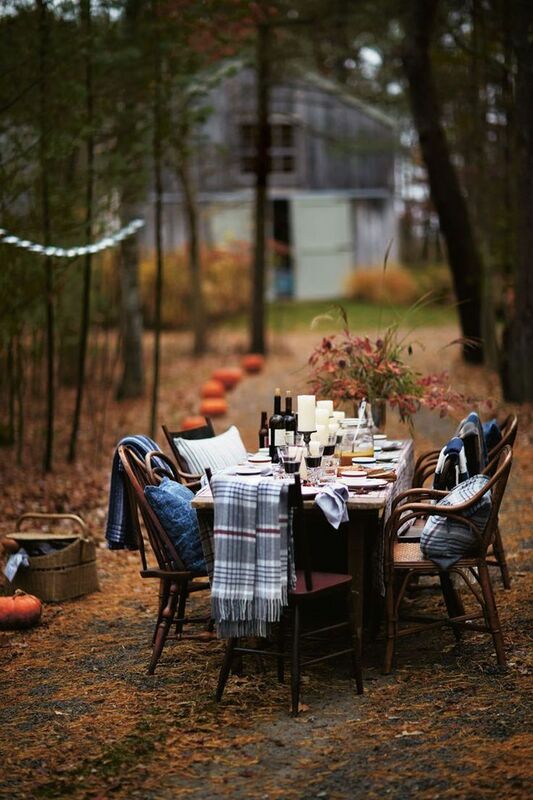 Another simple way to enjoy a picnic is to just grab a makeshift table and find a cozy place to run off to in your backyard room. You can even take a nearby walk for a more private meal. For a more formal picnic setting just set up a table and chairs in your backyard room, it's as easy as can be. The only thing you have to worry about is if you have enough chairs! A Helpful Tip: If you are having a dinner picnic be sure to bring a few blankets and maybe even a thermos for coffee or hot chocolate! Another warmth option to consider when you are spending time in your backyard room this fall is a campfire. A campfire is an excellent alternative heat source if you don’t feel like spending your time indoors. You can easily take the gathering outside with these campfire set ups for your backyard room. 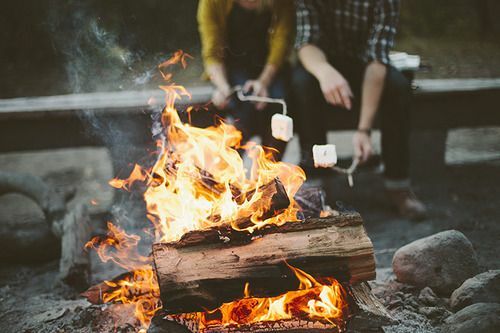 Depending on where you live you can either build a campfire or utilize a fire pit for the same ambiance. The last but certainly not least of the top 5 Fall Favorites involves just enjoying the crisp autumn air. Appreciating the outdoors is a definite must for fall especially if you live in a state that experiences the leaves changing colors. Such beauty can only be seen at this time of year and you definitely won't want to miss it. Alternatively if you live in an area of the country that doesn't have a major color change this season you still can't go wrong spending time outside. Fall won't last forever so be sure to make the most of it!